Tipperary manager Michael Ryan was gracious in defeat as Cork advanced to the Munster SHC semi-finals with a 2-27 to 1-16 at Semple Stadium. 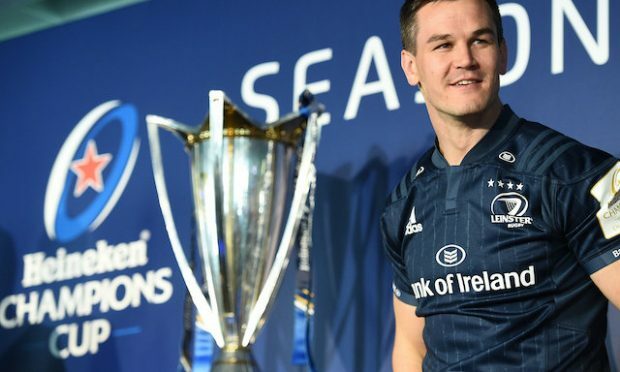 The reigning All Ireland champions, who’d disposed of the Rebels at the same stage of last year’s championship, were decidedly second best to an inspired Cork side who were clinical in attack and played with fluency and speed. “This is Cork lads. This time last year we were here saying they weren’t themselves, but I tell you they are back and we can take that as a certainty,” said Ryan. 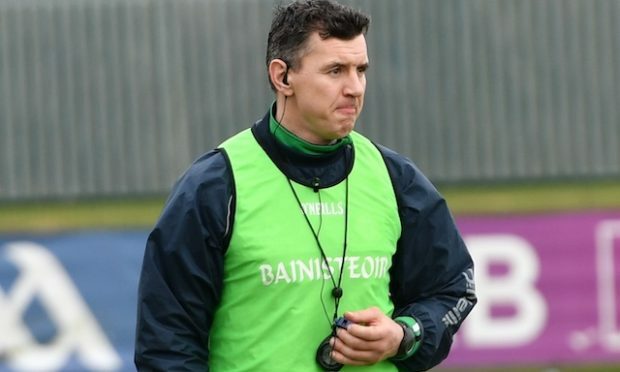 The Premier County went into the game on the back of a defeat to Galway in the league final, and Ryan has now challenged his players to bounce back and respond to this latest set-back if they are to go on and win back-to-back All Ireland titles. “Our lot now is we have to find a new route, and, look it, the challenge is ours and we have lots of soul searching to do,” he said. “A couple of facts that need to absolutely confirmed here. We have a super bunch of fellas down there. They care a huge amount about Tipperary hurling. Parallels are now being drawn with 2010 when Tipp were beaten by Cork at the same stage, but went on to win the Liam McCarthy under Liam Sheedy, but it’s a comparison that Ryan rejects. “Well look, that’s the challenge; I wouldn’t be too keen to draw too many parallels. We got a 10-point beating that day. This was a real game of hurling out there today,” said Ryan. 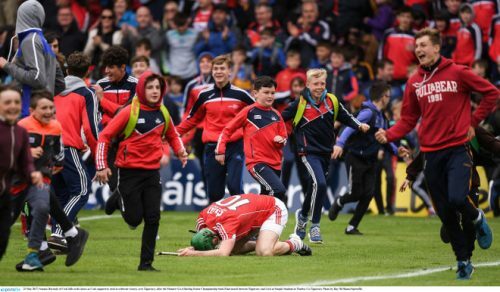 For Cork, corner-back Colm Spillane, wing-back Mark Coleman, midfielder Darragh Fitzgibbon, wing-forward Shane Kingston, and corner-forward Luke Meade were all making their first championship starts, but you’d hardly have known it as they went at Tipp from the start showing no nerves. 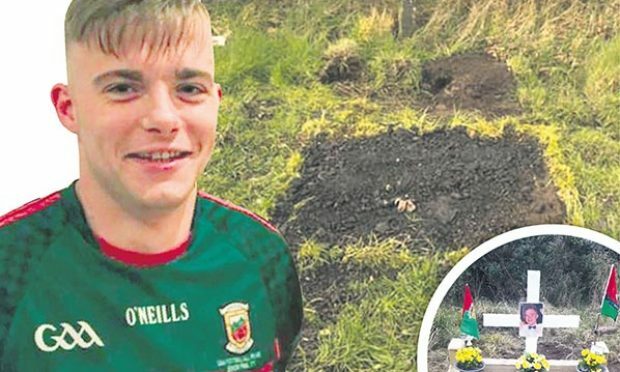 It was 0-15 a piece when the short whistle sounded, with the game’s first key moment coming in the 43rd minute when Shane Kingston scored a goal which Tipp goalkeeper Darren Gleeson will not want to see again. 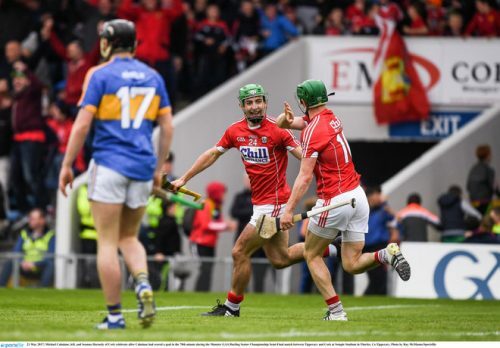 Tipp responded well and it looked like they’d seized the initiative when John McGrath blasted raised the green flag, but Cork fired back and the loss of Cathal Barrett for Tipp on 62 minutes was a further blow to the All Ireland champs. The decisive punch was landed when substitute Michael Lehane raced onto a Darragh Fitzgibbon delivery and finished with ease. ‘London new stand and grounds named’. Click HERE to read the full story.